Lightweight and durable, Solar Rechargeable Portable Torch Light is a great small tool for service technicians, emergency, construction workers, or ordinary folks. Use it as an emergency car light, handy light in your bag or just have it around your house in case of a power outage at night. Get your Solar Energy Charging LED Flashlight Here. Order today! Best used for those in the line of work working in the evening or night shift. 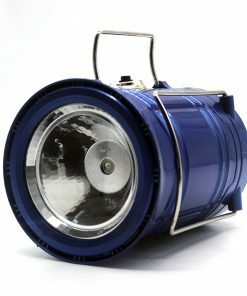 Use it as a backup light when entering dark areas of buildings, spooky basements, attics. 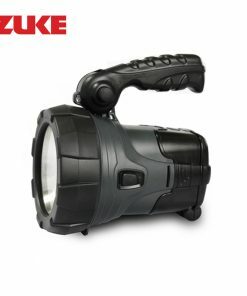 If you had your moments of flashlight failure, this is for you. The device should fit easily into the EDC pouch, backpack, or even in your pocket. 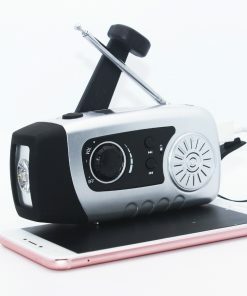 The Solar Energy Charging LED Flashlight is a durable solar charging torch, that you can also use as a power bank to charge your phone and other small electronic devices. The Portable Solar Energy LED Flashlight provides as much as 160 lumens of power, which can last for as long as 8 hours. Just remove the bottom cover to reveal the USB for mobile charging. The 160 lumens can charge phones with the port. In just around 7 inches long, weighing only 0.3 lbs, it can be comfortably and functionally used. The solar panel simply recharges using the sunlight, though it can also charge using artificial lights. Charge, store, and use. Repeat the process again as needed. It can even retain 90% of original power stored in months. Guaranteed to provide light and power every time you pick and click. Since its extremely durable and waterproof, you can use it rough terrains and survival conditions in difficult weather. It has even been tested 3 meters and can floats, so you can find if ever submerged like in flood. Bright LED flashlights that can shine across the yard if you’re looking for a pet in pitch black darkness. 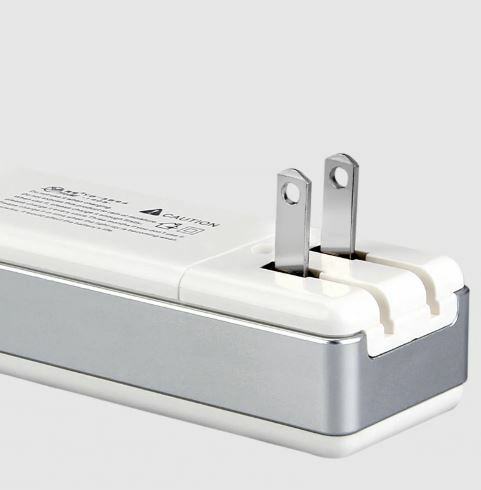 It can last long enough for emergency uses but easily recharge quickly by placing it in sunlight. Prepare at all cost from outages and power failures. 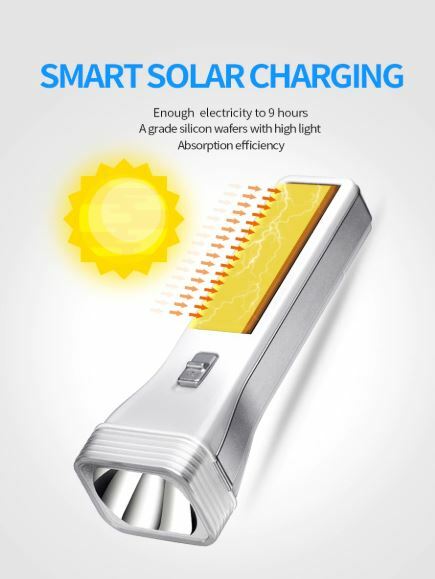 Order your Solar Energy Charging LED Flashlight Here. Get it here!